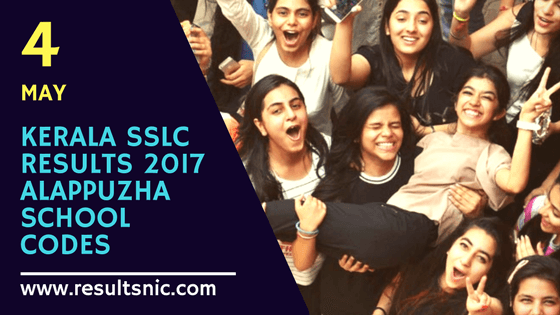 Kerala SSLC School Wise results Alappuzha District: SSLC Results 2017 are available on 4th May 2017. The educational Minister Prof C Ravindranath will announce the results on the press conference at Thiruvananthapuram. Students from Kerala can check their SSLC results 2017 after the official release of Department of Education. IT School website releases Kerala SSLC School Wise results Alappuzha District. To get the results school wise we need the school code in Kerala Educational System. The school codes are given below. results.itschool.gov.in will release the School wise results.